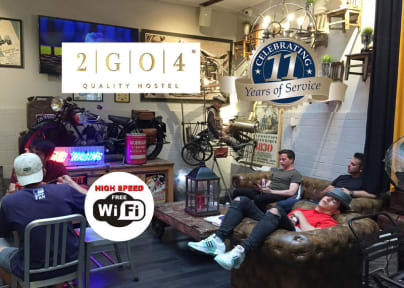 Brussels 2GO4 Quality Hostel City Centre i Brussel, Belgia: Bestill nå! Spacious room with single beds. The lounge and room was very nicely decorated. The kitchen is well equipped. The tap water was lukewarm at its coldest. Hostel was fine for a couple of nights stay. Very quiet so probably not the best for a solo traveler looking to meet people in the hostel. Then again, Belgian people are very friendly so you should have no problem meeting people whilst exploring this great city.